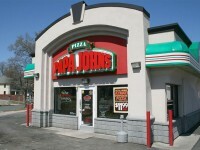 Papa John’s is giving away 25 extra Papa Reward Points (which can be redeemed for a free Large 3 Topping Pizza) when you spend $15. Within 24 hours after you place your order, 25 Papa Rewards points will be credited to your account. Make sure to redeem your free pizza by February 22, 2015, or your points will disappear. VISA25 – Good for 25% off your order. 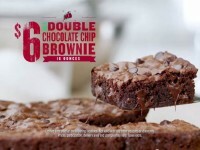 AARP25 – Good for 25% off your order. 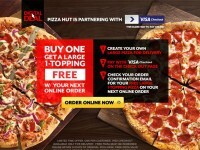 Select a Large “Create Your Own Pizza” and pick two toppings (you can do more toppings, but they will cost you more) and add it to your cart. 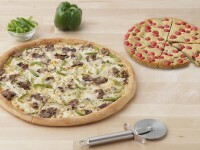 Select a Large “Create Your Own Pizza” and pick one topping. The final total would be just over $15. 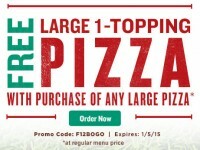 Enjoy a great deal on two pizzas, and then get my three topping pizza free before 2/22. Pretty simple huh? 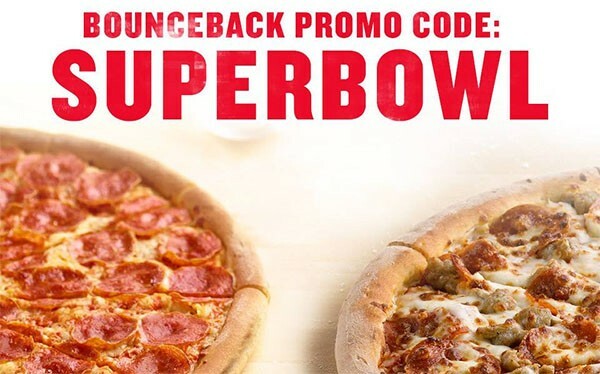 It isn’t too complicated and you can get a fantastic deal for your Super Bowl party, or whatever reason you need to eat a bunch of pizza. Also remember, the promo code to get a free pizza will only last through Sunday February 1st, so enjoy!